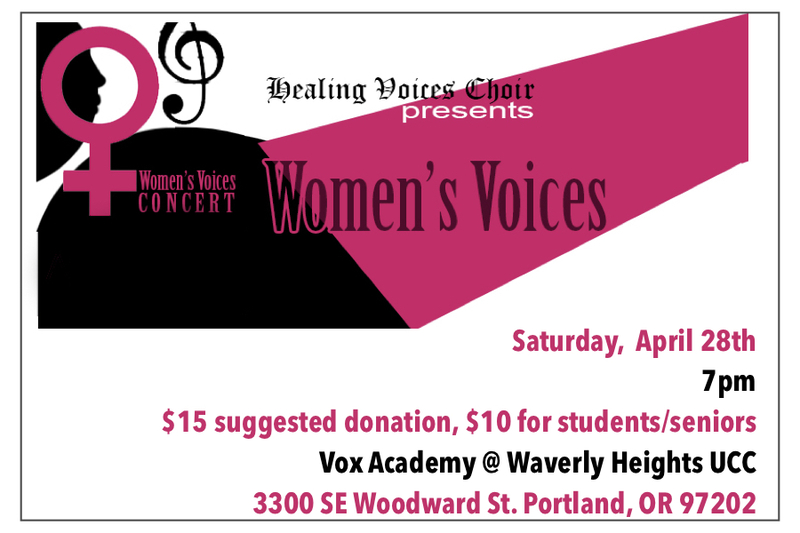 Healing Voices Choir will share its favorite pieces from the last five years in this, its final concert! This nonprofit will be changing direction but music will surely continue. Let's come together in community to celebrate all the joyful songs and moments shared! Featured composers include Ticheli, Whitacre, Walker, Alexander, Barnwell, and many others. Allow this small but mighty choir to surround you with beautiful, healing song! And of course we'll have a sing-along to close this lovely evening. HVC is conducted by Becca Stuhlbarg and accompanied by Ben Zuelsdorf. The Healing Voices Choir presents its Winter Concert: Alleluia! Drawing from different traditions and languages, this joyous community choir will share inspiring choral works by Palestrina, Lewandowski, Sweelinck, Handel, Leonard Cohen, and others. The diverse selections are united by the sacred word of praise we all know and love, and we hope you will leave with more insight and inspiration on what Hallelujah means to you. This concert will feature an exciting new work by local composer Patrick Rooney, as well as some thrilling solos and chamber selections. This chamber choir is dedicated to healing each-other and our community through song; don't miss this opportunity to join us in musical celebration! A suggested donation of $15 ($10 students/seniors) will be gratefully received at the door. The Healing Voices Choir is a non-audition community choir at Vox Academy, a 501(c)3 non-profit. We aim to heal and empower voices in our community. The choir is directed by Rebecca Stuhlbarg and accompanied by Mak Kastelic. 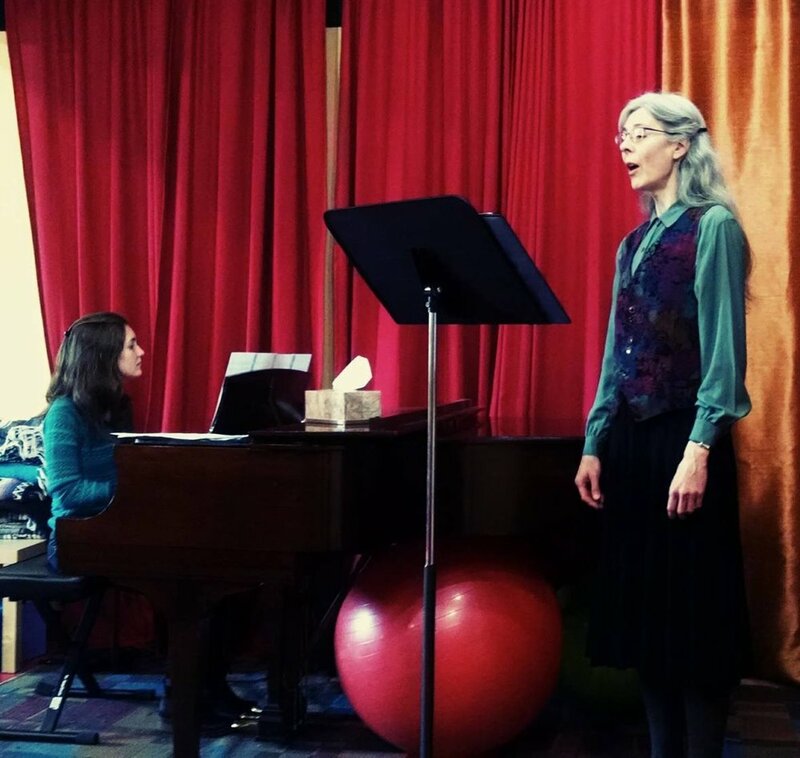 Healing Voices Choir presents: Birdsong! Come celebrate Spring with us through song! Healing Voices Choir is a lively non-audition chamber choir dedicated to healing and empowering our own voices and sharing inspiring music with our community. Our spring concert will feature beautiful madrigals by Arcadelt, Gibbons, Morley, and Marenzio, as well as more modern songs such as an arrangement of a Beatles tune, and a gorgeous modern piece by Gwenyth Walker. Rebecca Stuhlbarg is the conductor, and the pianist is Peter Fullerton. Some soloists will be featured, as well as small group numbers with lovely harmonies. This joyous choir will inspire you and leave you humming! Join us for an evening of bird song! $15 suggested donation. Performance Studios are monthly master classes taught by Vox Academy faculty. Any Vox Academy student currently enrolled in group classes or private lessons may register to sing in Performance Studio. We can't wait to hear you sing! to request a Performance Studio sign-up form sent electronically via email. Friends! Family! Neighbors! Come one, come all! Join us for a lovely evening of song! We will be viewing the holiday light displays on Peacock Lane (if you've never experienced them, it is a Portland MUST) while singing songs of the season. Come sing with us! Invite your friends! We will first meet at Walgreens parking lot at 39th and Belmont. From there, we'll walk 5 minutes over to Peacock Lane. Hooray!